As we know, the government has released its’ Industrial Strategy, aiming to drive productivity within the UK. But is a lack of engineering skills and diversity within UK industry holding back productivity and competitiveness? What is being done to encourage young people to take an engineering career path? Rachel Wiffen, a Process Engineer at Bridgnorth Aluminium and winner of the Made in the Midlands 2017 Women in Engineering award, looks at the engineering industry’s skills shortage and how this may be related to a severe equality issue. Since starting in the manufacturing industry, I have spent time working as a STEM ambassador. Having visited schools and delivered sessions to both GCSE and A-level students, it is evident that many young people, both male and female, don’t entirely understand what engineering is — let alone the opportunities available in the sector. One of the most striking problems in today’s engineering industry is the lack of engagement and information for students. At school, I enjoyed mathematics and physics. In fact, my physics teacher was always an incredible advocate for girls pursuing science paths. I was lucky to have an inspiring teacher, who regularly spoke about the feats of female scientists and encouraged us to realise our potential. However, it’s evident that not every student has this advantage. It wasn’t until my final year in sixth form that I began to realise my talent in physics and maths could help me pursue a career in the engineering field. Engineering is an incredibly broad topic and young people need to be informed about the different aspects of the industry. 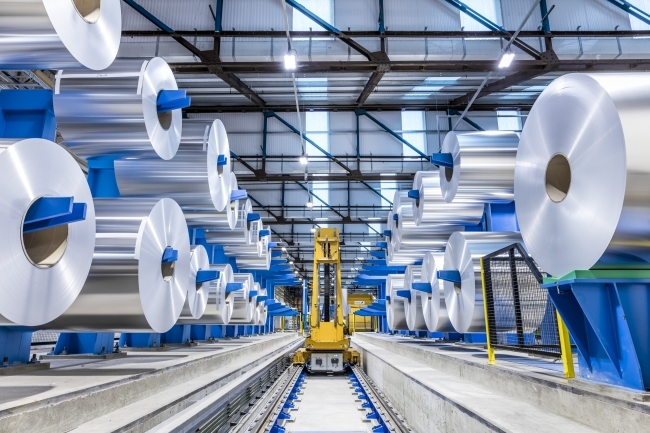 When leading site tours at Bridgnorth Aluminium, I often notice that visitors are overwhelmed by heavy industry and it’s likely that young people also experience a feeling of being saturated with information when attempting to understand the opportunities available to them. For those curious about the field, I would encourage them to ask questions, put themselves out there and, most importantly, be ready to learn. One of the most common concerns for budding female engineers is that manufacturing is a male dominated sector. From the outside, society views engineering as an industry sector driven by white, middle aged men — and to some extent, they are right. Statistics prove that just nine per cent of the manufacturing workforce is female. But, do these figures deter female engineers from pursuing a career in the sector? As someone that’s been there and done it, I can safely say that starting out can certainly be daunting. During a leadership course for young people in my industry sector, I received some feedback that, despite my engineering capability, “It’s a shame that you’re a woman, because people don’t take you seriously from the outset”. While the comment wasn’t made maliciously, it encompasses a lot of the problems that female engineers face. By nature, engineers want to invent, create and be challenged — but we shouldn’t be facing outdated social challenges just to feel appreciated in our sector. As engineers we should all be striving for equality, we need to challenge these perceptions and we certainly can’t let them affect our performance. 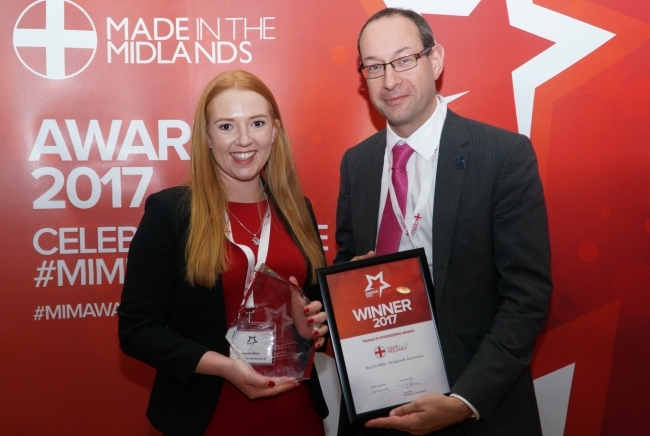 In October 2017, I was awarded the Made in the Midlands female in engineering award. The ceremony highlighted the achievements of a selection of other incredible female engineers from the Midlands manufacturing world and served to showcase the importance of tapping into the talent pool of women in engineering. In January 2018, Made in the Midlands will launch a new Equality campaign, backed by Baroness Lorely Burt, Liberal Democrat peer and party spokesperson for small businesses and women, to raise awareness of and upskill Midlands industry in the area of inclusivity best practice. The campaign will also be rolled out in Yorkshire by sister company Made in Yorkshire. There is a lot of work to be done to improve the equality of Britain’s engineering industry, but doing so will produce incredible results. Businesses are 15 per cent more likely to improve their performance if they are gender diverse. In fact, diversity has proven to be crucial for innovation — 85 per cent of corporate diversity and talent leaders agree.